The Tigertek Genji RDA features screwless dual coil coil build deck, what makes coil building easier than ever before. 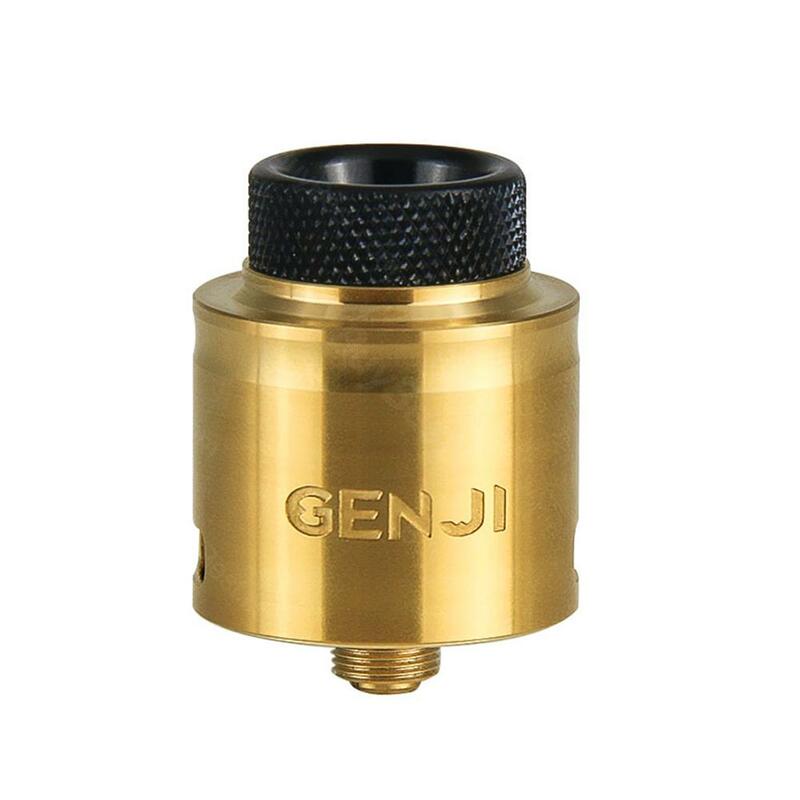 Genji adopts bottom airlow system with holes directed right to the bottom of the coils, which gives large flavor boost. With the minimalistic stylish look, Genji RDA will look awesome on any of your box mod, or even on a mechanical tube. Tigertek added some spare springs with to the package, so you can change it is necessary. 4 colors available. Shipping was free, service was excellent, and this tigertek Genji rda, amazing! Hell lots of clouds. Cool name as well. Genji is of my favorite RDAs now. Got this Genji RDA as a gift to myself for two-year vape anniversary lol. really tasty flavor.